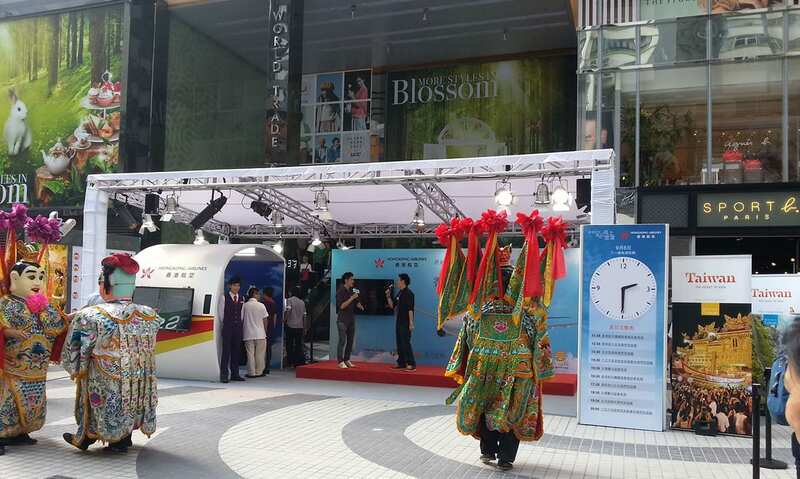 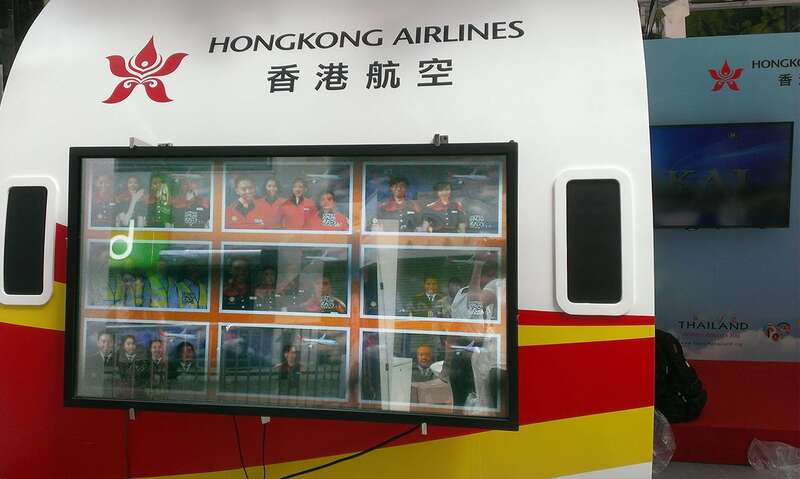 We were commissioned to do the design and creation works in the roadshow of Hong Kong Airline. 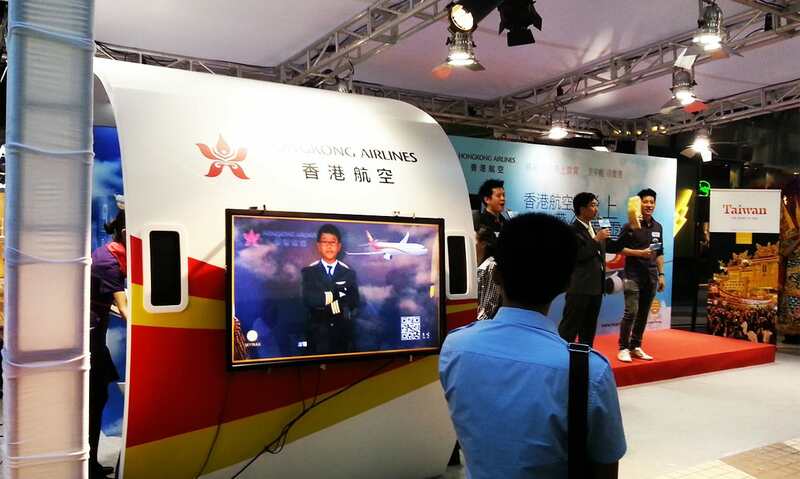 Apart from some general speeches and performances, we created a photo booth to increase the visitors’ engagement, let them experience being like a pilot and flight attendant. 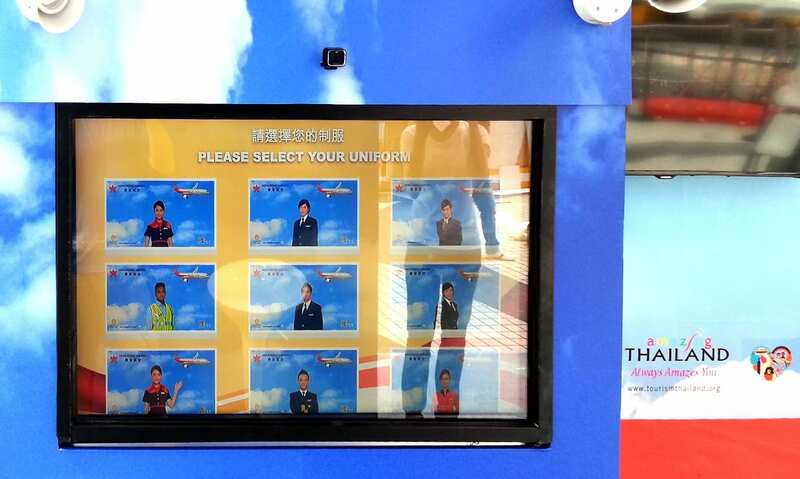 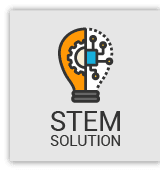 The participants can pick a uniform and be dressed on with the use of AR, then they can take a real photo via the connected printer as a souvenir.